There are no changes to our very successful trail pass discount gift program this year. 50% off our regular rides and it can be used for seasonal rides by paying the difference in price. These gift cards never expire and can be printed in color or black and white. They are only available for purchase in November and December each year but they never expire. Purchase as many as you would like. There’s no limit. If you would like seperate passes they must be added to the cart individually. For example: if you want 2 vouchers worth 10 credits each set the quantity to 10 and add to cart, then return here, select 10 again, and add to cart again. 1. No expiration date and it is ready to use as soon as you receive it on any ride here at the farm. 2. No limit to total purchased for gifts or separate reservations. Only four Trail Passes can be used per reservation, additional riders on the same ride must pay full price. 3. 50% off our regular $65 rides. The Trail Pass Discount Deal can be upgraded to other seasonal rides by paying the difference. 4. No holiday or seasonal restrictions. We do reserve the right to cancel if we cannot fill a ride. No off-farm rides are included in the discount deal. 5. 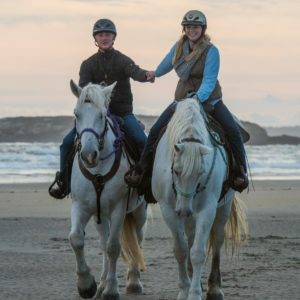 Reserve any time, day of ride and last minute reservations with the Trail Pass are fine but not guaranteed. 7. The Trail Pass cannot be used with any other discount deal. 8. The Trail Pass is completely transferable as a gift or due to injury or health issues. There are no refunds. 9. Please read website for age, weight and other restrictions before purchasing. 10. Children must be 8 years old and up to use any discount voucher. Trail Pass Discount Deal Drawing for a Free Sleigh Ride! No matter how many Trail Passes that you purchase, the first 50 customers will be entered into a drawing and 5 will win a free Sleigh Ride for two in our little red sleigh. A gift certificate will be issued to the winner and sent by e-mail to be printed out and presented at the time of reservation. 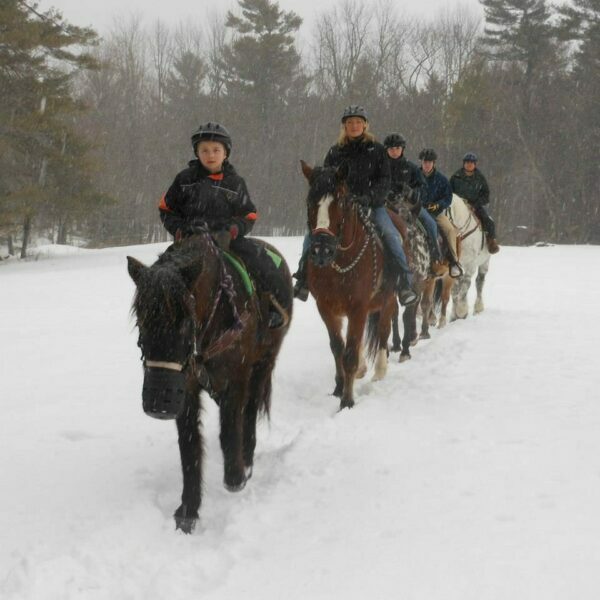 Reservations must be made and sleigh rides are limited by weather conditions, trail conditions and seasonal availability. Read more about sleigh rides. The gift certificates never expire.